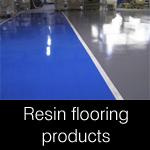 Concrete Repair Products, Resin Floor Screeds and Anti Slip Floor Coatings. ARCON CONSTRUCTION SUPPLIES is a long-established nationwide specialist distributor and stockist of a comprehensive range of concrete repair products, industrial floor paints, coatings, screeds, waterproofing, jointing and sealing products designed for all sectors of the construction, civil engineering, industrial, maintenance and facilities management sectors. With over 35 years’ experience serving the construction industry we can offer cost effective solutions across a wide range of industry sectors and in numerous applications. We offer a vast range with over 1000 products from leading international manufacturers. Our technical advisors are available to give detailed technical advice, help with product selection and product application advice. Contact us by phone on 01925 85 2225, by email mail@arconsupplies.co.uk or via our contact form (in the left hand column of this website). 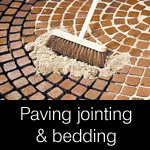 We deal with specifiers, buyers and applicators. 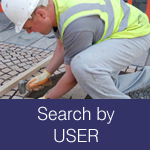 Our customers include Facilities Managers, Asset Managers, Architects, Civil Engineers, Building Surveyors, Builders, Contractors, Landscapers, Groundworkers and Specifiers to name just a few. Select from the USER menu on the top bar of this page to find user- specific information. An extensive product list complete with technical data sheets and safety data sheets can be found by clicking on the PRODUCT LIST menu on the top bar of this page. It includes cement-based products, epoxy repair mortars, grouts, anchoring and fixing materials, polyurethane resins, pointing and jointing, resin floor finishes, paints, coatings and screeds. 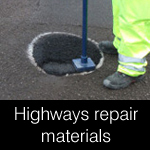 We supply products for a huge variety of repair, maintenance and construction applications such as baseplate grouting, basement waterproofing, crack injection, façade sealing, movement / expansion jointing, industrial screeding, concrete sealing, floor levelling, machine grouting, anchor fixing, paving jointing and the list goes on. Arcon Construction Supplies can help you to solve your construction and maintenance problems simply, within an affordable budget. 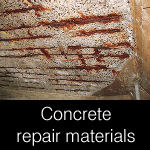 If you have damaged concrete structures in need of refurbishment and protection. 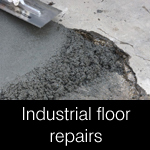 If you have damaged concrete floors, steps, stairs and potholes. 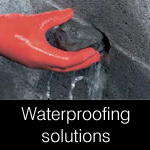 If you need waterproofing solutions to above and below ground structures or leaking basements. If need baseplate grouting, levelling, fixing, repositioning plant or machinery. 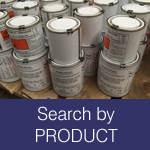 If you need help selecting products and advice on specifications, application, repairs, new floor finishes, anti-slip floor surfaces, industrial, hygienic, food safe and chemically resistant resin floor paints, coatings and screeds. WHY DEAL WITH US? - You may have problems with your factory / warehouse floor, structural repair or maintenance issues. 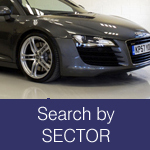 We offer the best of free independent technical advice and respond to all enquiries immediately. We offer a vast range with over 1000 products from leading international manufacturers. We can solve all your construction and maintenance problems simply, within an affordable budget. 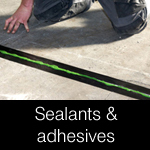 ALL OUR PRODUCTS - are made to the highest standards by leading manufacturers. All products are supplied with full instructions for use and health and safety requirements. Products meet BS, Dtp, Wrc, DWI, Agrément specifications where applicable. To continue viewing this site please accept cookies by selecting the accept cookies button at the bottom of this page.